United Arab Emirates, Dubai, March 31, 2018: Berets MC, a Dubai based bike club will attempt to highlight autism awareness with the help of several cause supporters and exhibitors for the fourth year in a row by hosting an Autism Awareness Ride at the Dubai Investment Park on April 13th. This event invites children and teachers from local autism schools, bike riders, and the public to come down to support and have a fun day filled with activities, meet the biker community in the UAE and witness the ride. Entry is free of charge. 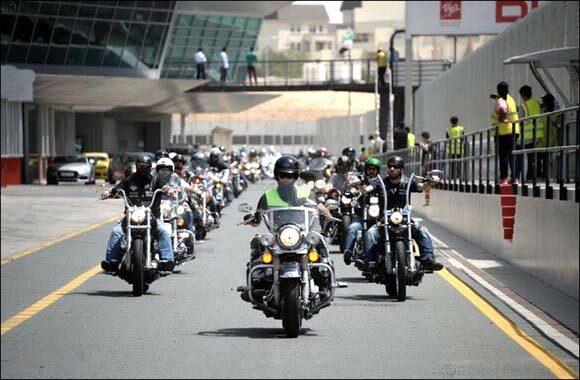 The event will kick off with the ride including numerous bikers from bike clubs all around the UAE. Bikers are advised to wear the autism color blue to support the cause. The ride will start at 10 AM at the Bikers House Restaurant, which is the established meeting point for all bikers participating and the end point is at 11 AM in Dubai Investment Park with the duration of an hour on an off-city road at a speed of 80km/hr – 100km/hr. Marshalled by trained assigned marshals, the ride is open for anyone with an official bike license from RTA and has their own motorcycle. For bikers that wish to extend their support by participating in the ride, meeting point will be at The Bikers House Restaurant, Business Bay at 9:00 AM to receive full safety brief. Including a lineup of fun and exciting activities, food and games that caters to all attendees. Kids can delight at the kids play area or watching a live kid entertainment show by the UAE's Award-Winning Children's Magician Magic Phil and his crew. For the die-hard bike fans and bikers, there will be Bikes builders and Custom bikes displays and Bikes competitions for the best modified bike in town, best chopper, best paint, best softail. The fun does not stop there, live music by a local acoustic band, food trucks and kiosks will also be provided. Over the past four years, the Berets MC have worked closely with local autism schools such as Skills for Kids, Widad Education and Pure Child Health with bikers and with several cause supporters and exhibitors to create a fun event to bridge the gap of ambiguity between autism and the public regarding the various institutes that are available to help tackle this mental condition in the UAE. The public can familiarize themselves with these different foundations and get acquainted with teachers and kids that belong to them in an enjoyable environment. The occurrence of autism is said to have increased over the years in the UAE as the number of cases is going up according to Dubai Autism Centre. The same is true for other countries around the GCC.